Tuesday, 09 February 2010 16:15 S.H.A.N. The 76 year old Kya Bo Long of the Lahu Democratic Union was recently re-elected by winning 41% of the votes as the Chairman of the Provisional Shan State Congress formed in December 2008 at Loi Taileng, opposite Maehongson. Out of 78 eligible voters from 26 organizations, Kya Bo Long, a native of Kengtung and a former recipient of the student support fund created by the late Prince of Kengtung Sao Sai Long, received 32 votes. His two Shan challengers got 23 votes each. “I’ll be patient with all, Lahu or non-Lahu,” Kya Bo Long, who is remarkably healthy and energetic for his age, told SHAN. 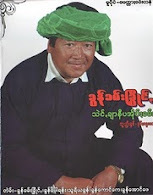 The killing of Mongla-based National Democratic Alliance Army’s General Secretary Min Ein last month, some believe, was engineered by Naypyitaw’s agents. The gunman, after two weeks, is still at large. The SSC, holding its second annual meeting, 4-6 February, had resolved to expand its campaign to win as many as possible groups inside Shan State. The Shan State, is a co-founder of the Union by virtue of 1947 Panglong Agreement, is the biggest state in Burma. Five of its non-Shan ethnic groups: Danu, Kokang, Palaung, PaO and Wa, were granted Self Administered status by the junta drawn 2008 constitution. But most opposition groups have put it down as a cosmetic one. “We enjoyed more autonomy during the days of the Sawbwas (feudal lords),” a non-Shan participant told SHAN.